In the Caldecott Honor winning children's book Hide and Seek Fog, a thick fog from the sea covers a tiny village for three days. The grown ups grumble and complain about the fog while the children revel in it, playing hide-and-seek and getting lost in familiar places. Beautiful, hazy illustrations by Roger Duvoisin capture the mystery of the fog as it transforms the everyday into the strange and wonderful. Follow the Dream: The Story of Christopher Columbus by Peter Sis tells the story of Christopher Columbus through simple, elegant prose and fantastic map-inspired illustrations. Beginning with Columbus' birth in Genoa, Italy, Follow the Dream describes his days reading The Travels of Marco Polo and dreaming of becoming an explorer, his diligent work studying navigation, and his persistent quest to fund an expedition west. The book goes on to tell about Columbus' voyage across the ocean on the Santa Maria in 1492 and his discovery of an entirely new world. The spectacular artwork of Peter Sis immerses young readers in the exciting world of exploration, navigation, and discovery as they learn about the life of one of history's most famous dream-followers. 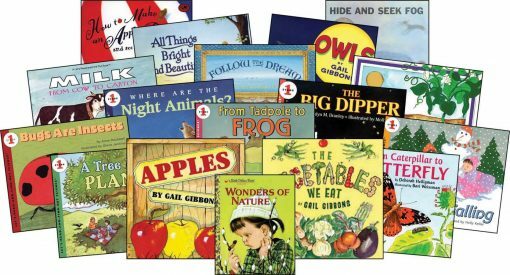 How to Make an Apple Pie and See the World by Marjorie Priceman tells the story of a little girl who wants to make an apple pie. When she discovers that the market is closed, she travels around the world to find the best ingredients while sharing her recipe with readers. First, find semolina wheat in Italy. Then, travel to France to find an elegant chicken egg and Sri Lanka for cinnamon. In England you'll find cows to get fresh milk, and you can get sugar in Jamaica. And you must get apples in the state of Vermont! This book also includes a much simpler recipe for apple pie that can be made with ingredients from your very own grocery store. No travelling required! 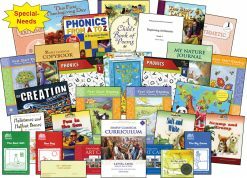 The Wonders of Nature childhood book has been hand selected to be a part of both the Kindergarten Read-Aloud program along with the Simply Classical Level 1 Science and Enrichment Supplement set. Cecil Frances Alexander's classic hymn calls young and old to celebrate the beauty and wonder of nature. Artist Bruce Whatley offers a new imagining of this hymn in All Things Bright and Beautiful. Through his vibrant and realistic paintings, readers follow a little girl's day in the country as she appreciates all the bright and beautiful things around her and shares that joy with others at the end of the day.